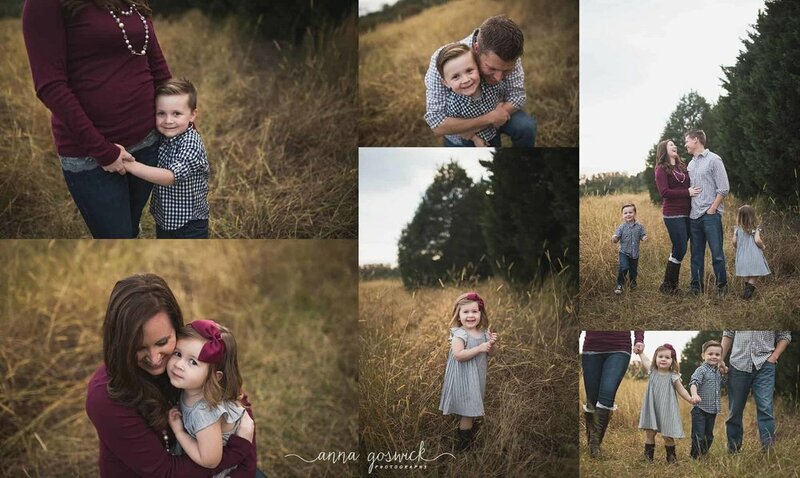 Our Fall Mini Sessions are a huge success every year, and I get the pleasure of spending evenings out together with so many beautiful families, both new faces and old friends. This year was particularly exciting for me- we completely sold out of our fall mini sessions in August! I knew I wanted to go somewhere fun with all these families, and in a wide open space where we could run, twirl and play together. The way your little boy grasps your hand so tightly when you walk with him. The way your little girl bubbles over with laughter when daddy lifts her high in the air. The pride on your one year old's face when she takes her first wobbly steps. The gapped-tooth smile of your first grader, and how sweetly she nurtures her siblings. and driving them to practice. You do it for them. And they appreciate you more than you know. Little Lamb Mini Sessions- Now Booking! Anna Goswick Photography is hosting a one-day Petite Session Spring Event with beautiful Sugar the Lamb, and she is as sweet as her name! This limited event will be held on March 25th, and includes cuddles with this sweet girl and a personalized styling consultation for your session. Fully edited, high resolution digital files in a password protected gallery will also be included for this special event. Book your preferred time here. Christmas Studio Mini sessions now booking for 2016! Choose between a Woodlands Christmas set and a feather bed perfect for Christmas PJs! Luke enjoyed jumping on the bed in his Christmas PJs! A quick peek at our Vintage Truck Mini Sessions held in November. Remember to book your Christmas Portraits early- Booking starts in September and availability fills quickly. 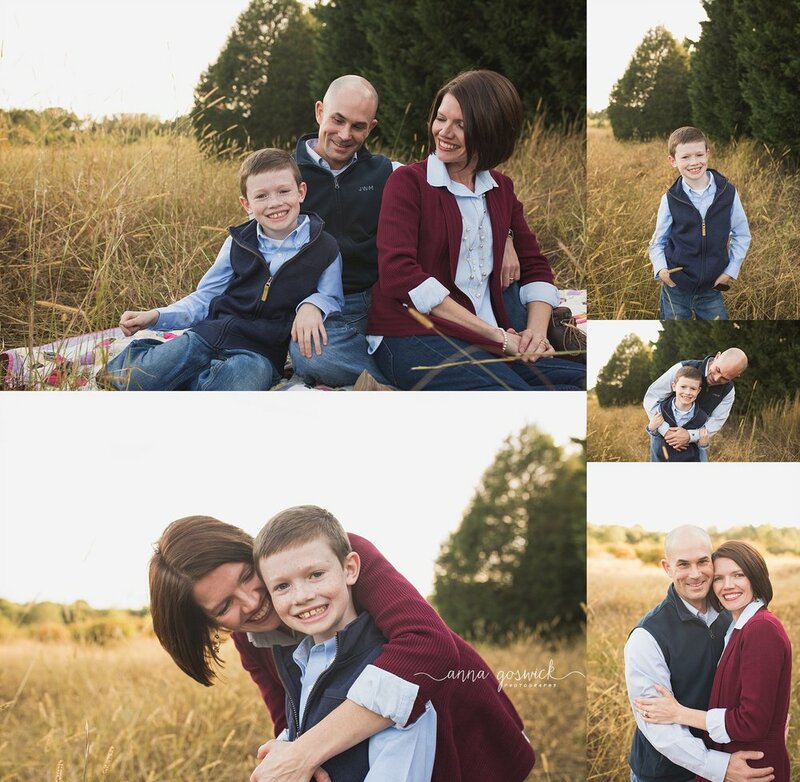 From our Christmas on the Farm Mini Sessions in November. Book early for Christmas portraits- Booking starts in September each year! I love the beautiful, sweet bond between a momma and her first child. And Cade sure has his mama's heart. And I can see why. He's a big, beautiful boy! Sweet, tender and fleeting moments with her newborn son. Every detail is perfect. He is perfect. And super proud aunt cannot wait to get her snuggles with Cade. We even captured beautiful eyes when he woke up at the very end of his session. I love that sweet look of surprise! 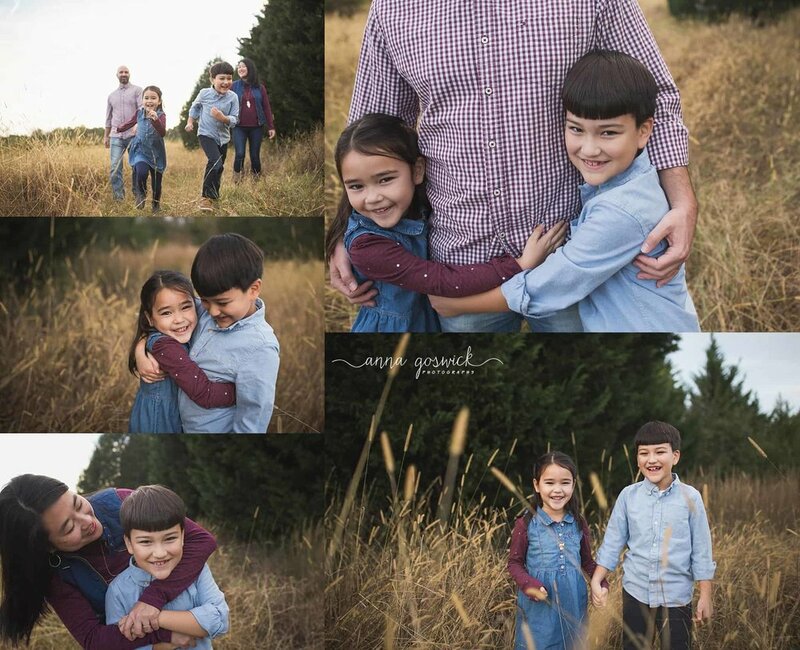 Yep, this is my family fall portraits! Every crazy, wild, chaotic minute of it was worth it to get these precious memories so we can print them and keep them forever! My son has a slight obsession with trucks. Ok, so I have a soft spot too for a beauty like the gorgeous 1947 Dodge that we borrowed for the shoot too, but it wasn't just for me. Oh, how I love my children. But let me tell you, photographer's children are no easier in front of the camera. They are WILD in front of the camera. Like, in revolt. In fact, there is a name for it- PCS. It means that no matter how hard you work, how silly you dance, or how many chocolate chip cookies (ice cream? candy? anything you want child- just sit still and smile at Mommy!) you bribe them, they are immune to all your tricks. They see me do that every day. They're like, oh- there's mom, being mom. But oh, how I treasure these portraits. I'm the one who documents our days. I catch all the cute stuff my son does, the funny words he says, the way he likes to dress himself. I document my daughter's successes and highlights of middle school. I carefully curate her life as she has transitioned from playing with dolls to playing with makeup. Each moment is precious. Each moment is treasured. All our family vacations are lovingly captured and bound in a portrait album. I'm in hardly any of the shots. Do you ever feel that way- I want my kids to know that I snuggled them, read to them each night before bed, kissed boo-boos and treasured every moment that I could spend with them. So I made myself a promise. I'm going to be sure that I make it into the photo albums too. With them, doing what we do- Laughing, playing and loving. Do yourself this favor too- Be present in your photos. It's worth it to capture those memories- for you, and for your children. -- Yes, that is my son in the seat next to me. Wriggling around while My Main Man and I get our cuddle on. But that's us! Wiggles and all. Wow, this has been a phenomenal year for AGP! We've been super busy here, chasing the golden light, cooing at toddlers, and editing like a madwoman into the wee hours of the morning! A huge THANK YOU to my clients and friends for such an incredible turnout. My mini sessions this year sold out in HOURS. Wow! All my appointments are now booked through the end of 2016, and I am accepting bookings for studio maternity, newborn, and baby milestone sessions for January through March of 2017. I've gotten a little behind on my blogging, but I'll try to keep you all updated on the recent sessions and the gorgeous families I've been photographing. Much Love and Many, Many Thanks!